Another beautiful temple. Taken at Banteay Srei, Angkor Archaeological Park, Siem Reap, Cambodia. One rainy day in August of 2011, John and I visited Banteay Srei. 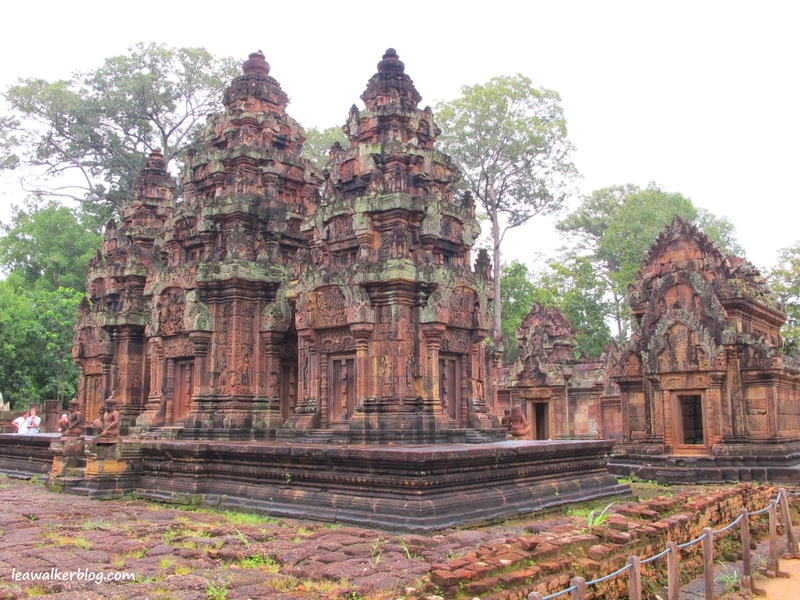 According to research, Banteay Srei in Khmer means City of Women. At first, they thought it meant “auspicious city”. But later finds (inscriptions in the monuments) , said that its original name is Isvarapura which means the City of Shiva. This temple was built in the late 10th century under the reign of Kings Rajendravarman and Jayavarman. I just stood in awe as I watched it. After several centuries, it is still standing proud and majestic. You know, this is why I take a lot of pictures. It reminds me of what I felt then and it reminds me of the memory that will forever be etched in my mind…. Photo was taken at : Banteay Srei, Angkor Archeaological Park, Siem Reap , Cambodia. This entry was posted in Banteay Srei, Cambodia, My Travels and tagged Angkor Archaeological Park, Banteay Srei, beautiful temples in Cambodia, Cambodia, history of Angkor, Siem Reap, temples of angkor, Unesco World Heritage Site. Bookmark the permalink.